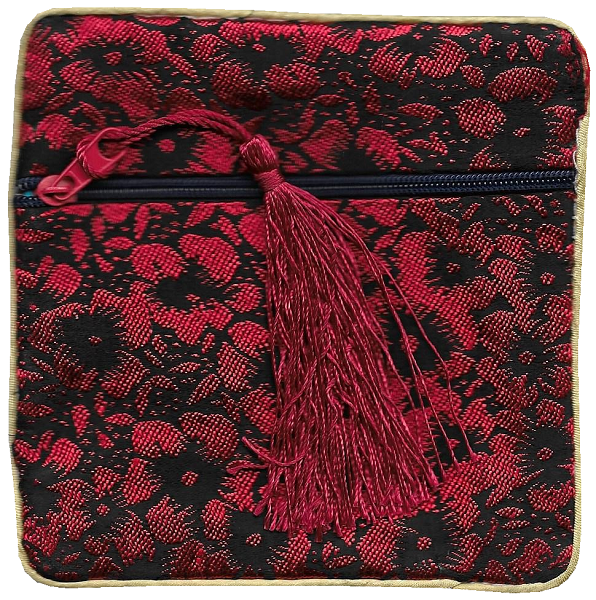 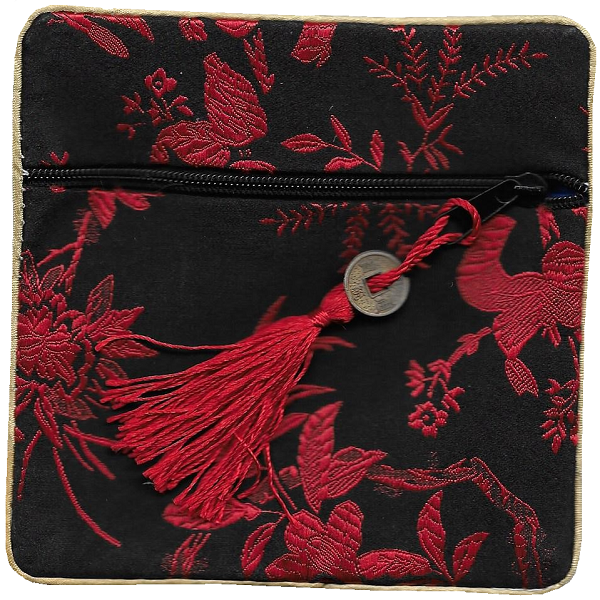 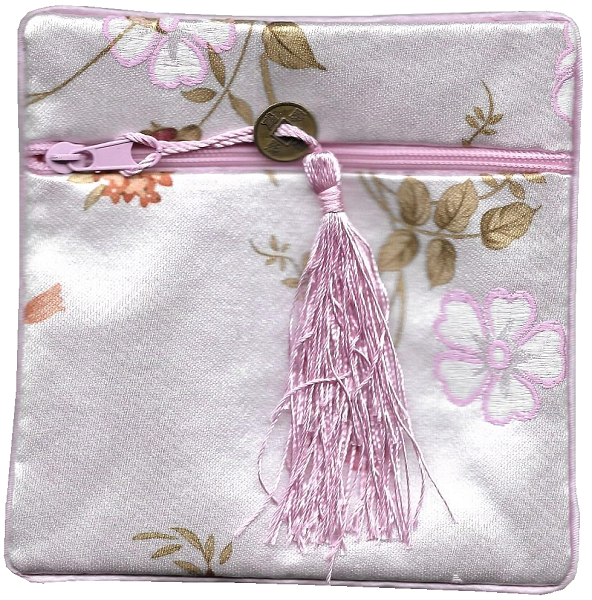 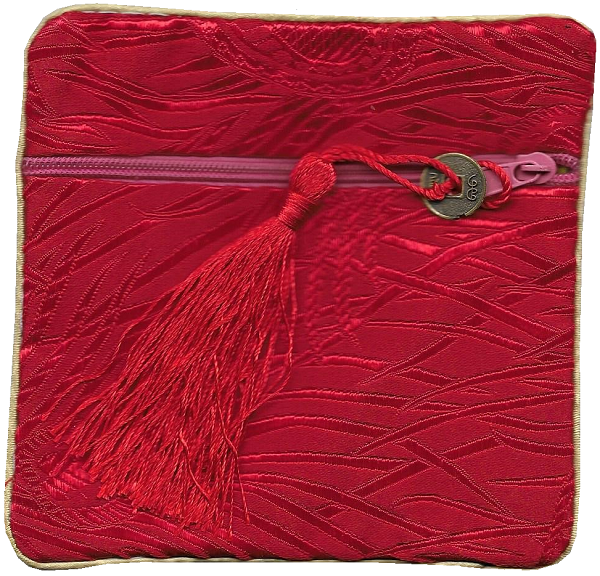 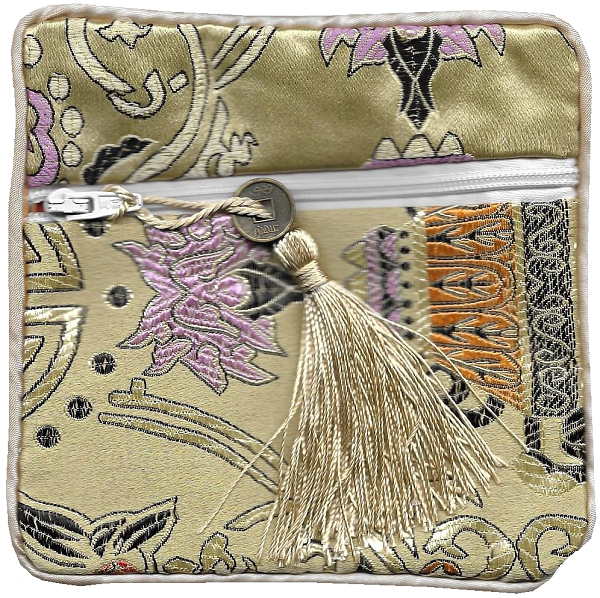 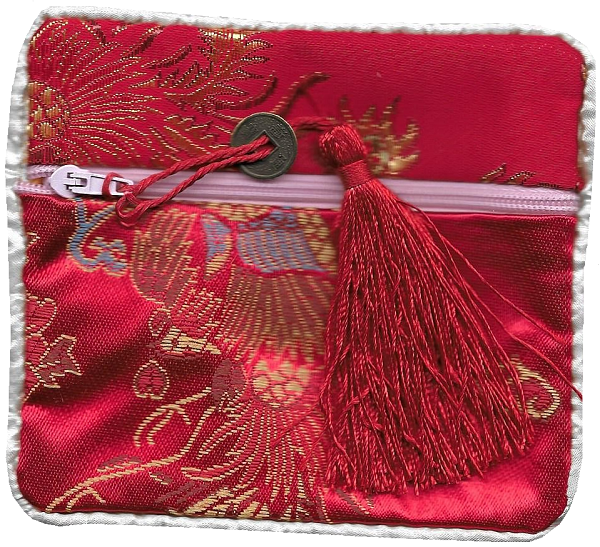 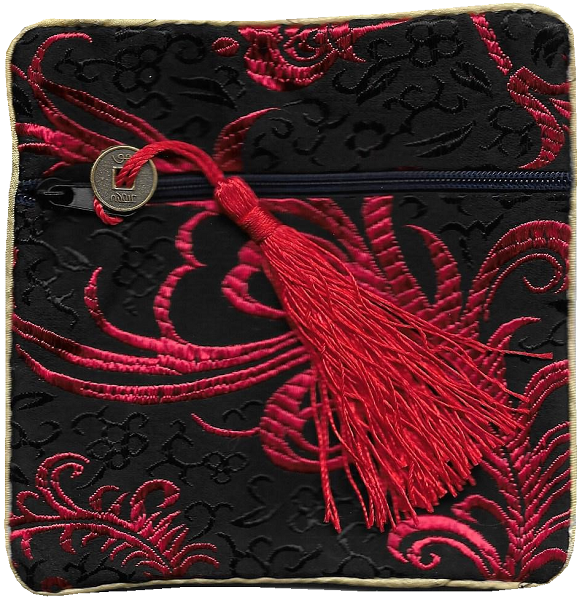 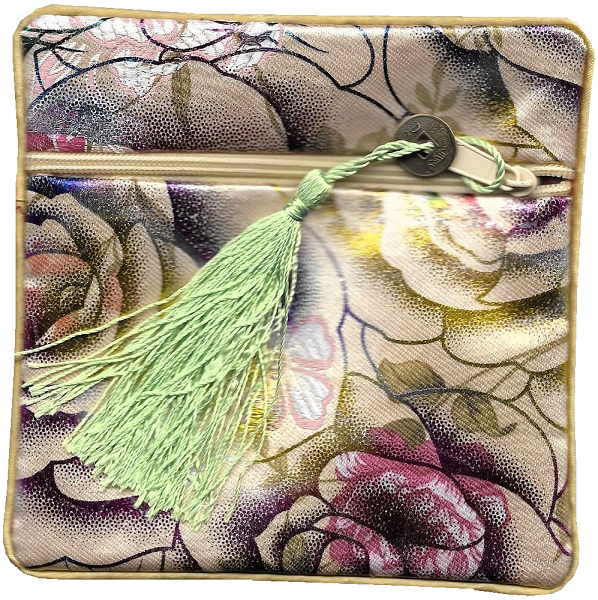 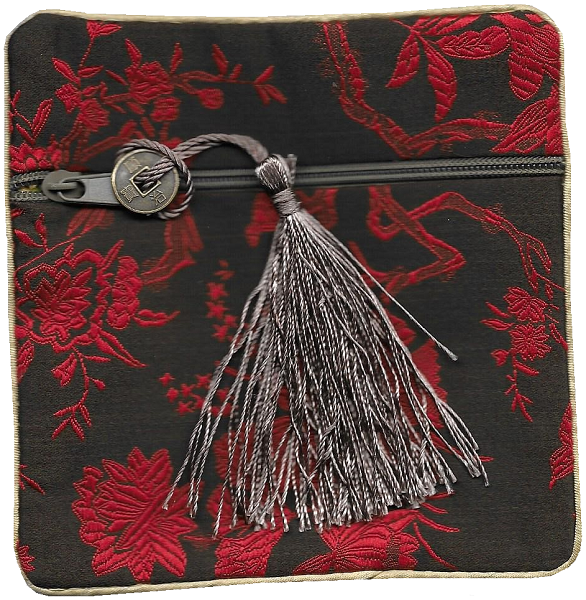 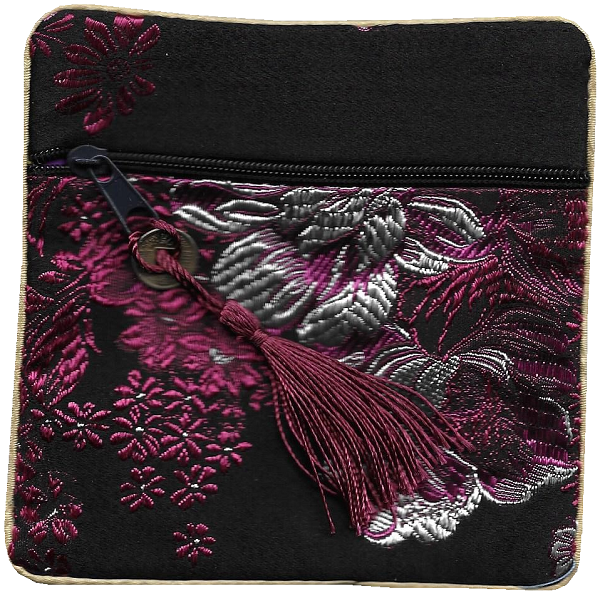 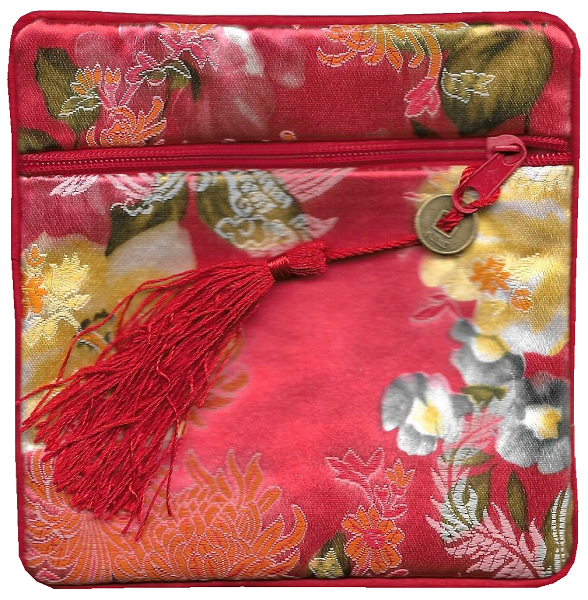 Chinese purse with silk brocade oriental floral patterns. 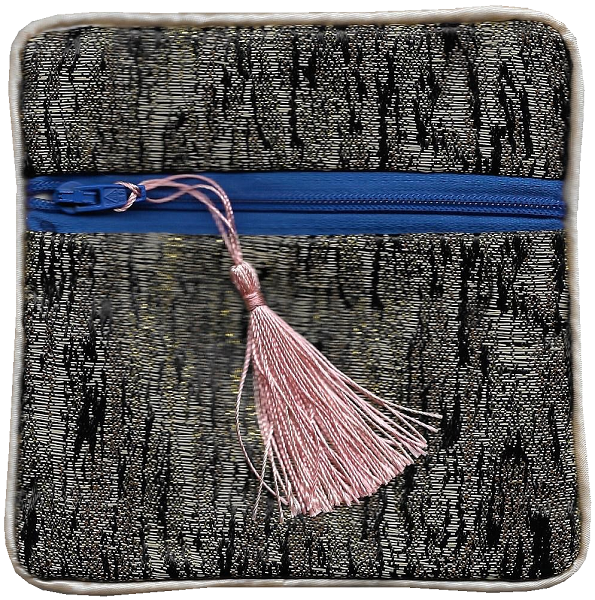 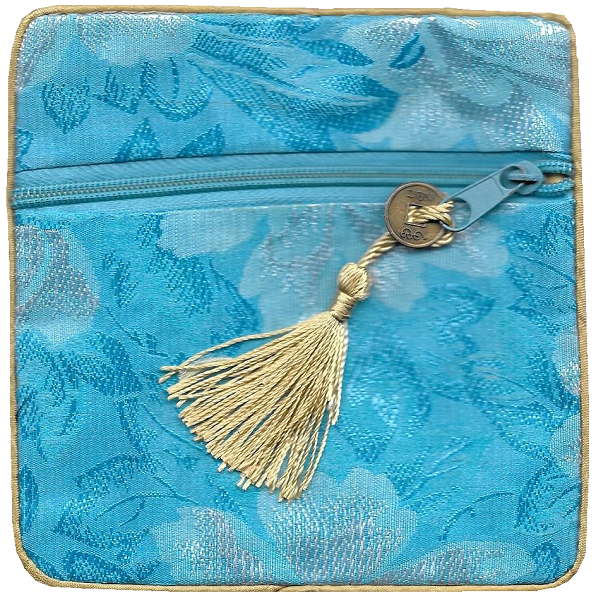 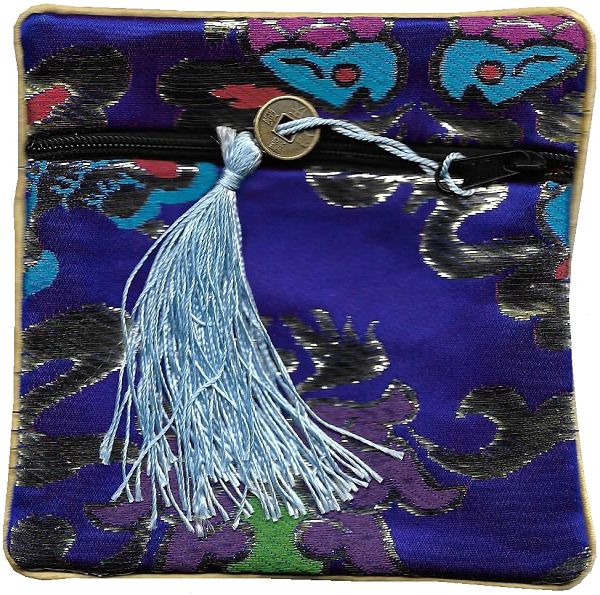 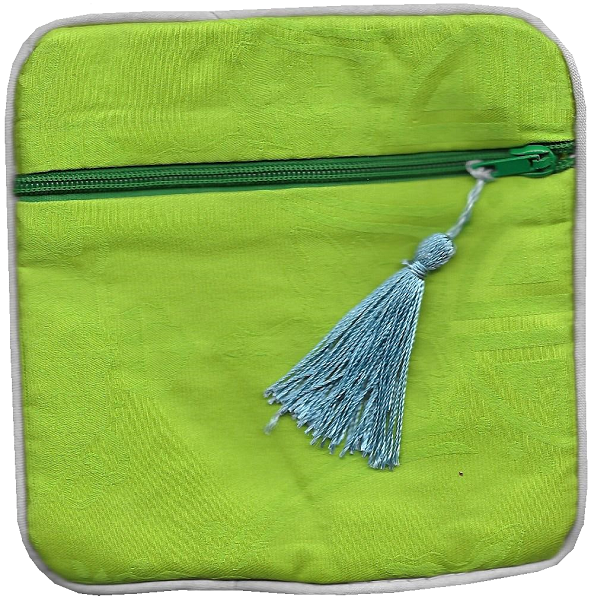 This turquoise blue silk brocade purse has a gold colour lucky knotted tassel attached to the zip, along with a i-ching coin. 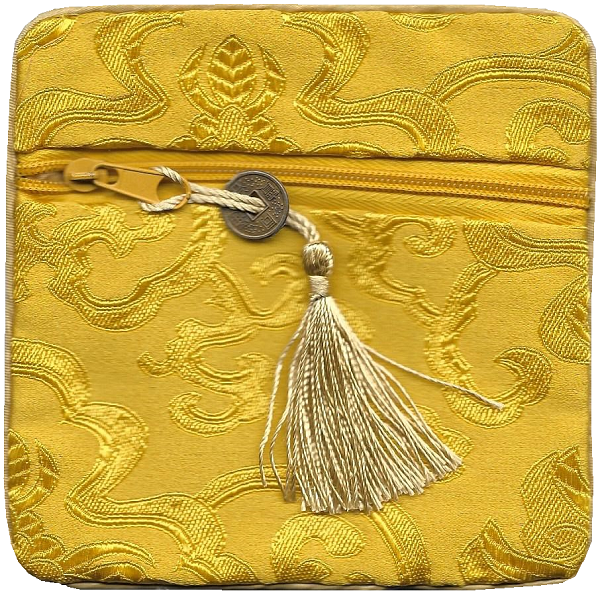 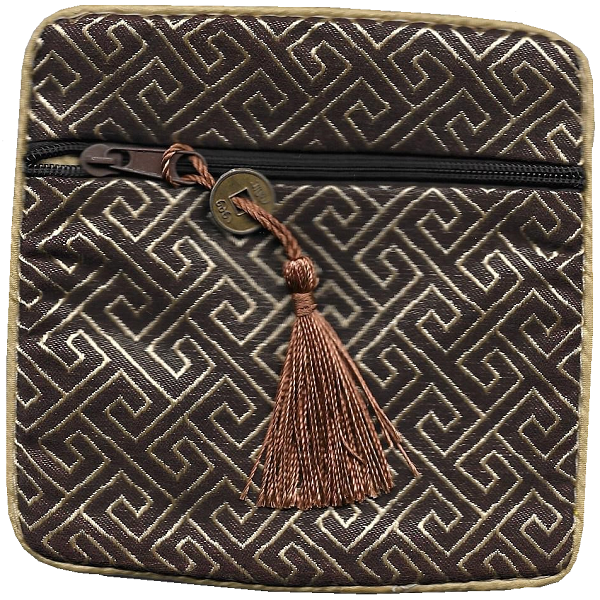 An attractive Chinese fashion accessory with a gold coloured decorative trim.